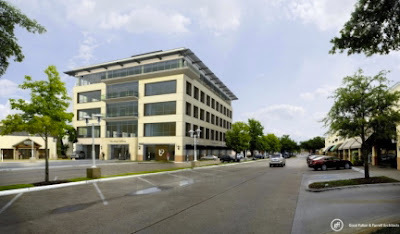 While the temperatures in September may not bring a great deal of change to Dallas, the beginning of the new Plaza at Preston Center certainly will. In early September, construction will begin on a five-story office and retail building which will house the University Park Library, as well as a multi-level underground parking garage that will add more than 450 new parking spaces to the center. The center is already taking steps to ensure that Plaza customers are minimally affected during the construction process. All stores and restaurants will remain open and free valet parking will be offered at many locations throughout the center. Some stores, including Lucky Dog Barkery, Mel Crews and Park Plaza Salon will add rear access to their locations for the convenience of their customers. Shoppers of all ages will even find intriguing entertainment from the project as they safely watch the construction in action from behind a plexiglass wall viewing area. Several tenants have relocated within the center to make room for the new building. Corner Bakery Café has a new location between New Balance DFW and Baskin Robbins, with a great patio open just in time for cooler temperatures. Matthew Trent Jewelry Design Studio has relocated to the west side of the center facing Preston Road, as will Occhiali Modern Optics. The entire project is scheduled to be completed by winter 2012. For more information, visit www.theplazaatprestoncenter.com.